Outdoor living is just as important as the time you spend indoors during the long summer months under the African sunshine. Creating comfortable outdoor living spaces means carefully considering your outdoor furniture and soft furnishing choices. When it comes to textiles, not just any fabric will do for the outdoors. Exposure to the elements means having to use specially designed outdoor fabrics to get the job done! New outdoor fabric collection Out & About has arrived to offer a beautiful selection of plains, stripes and even new textures in the outdoor fabric category. The collection is manufactured from a combination of solution dyed & UV stabilised yarns offering a 3 year guarantee against loss of strength and fading. All fabrics are mildew resistant and have been treated with a water, oil and general soil repellent as well as a fungicide. A selection of plain, textured and striped shades of blue bring azure hues to the collection. 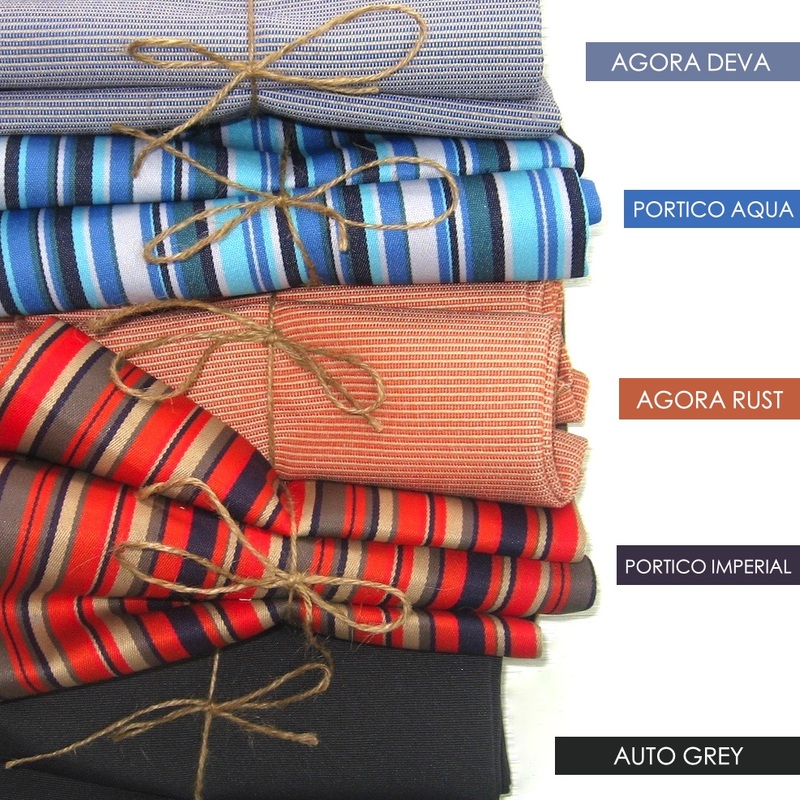 Designs Portico, Agora and Auto offer new texture options to our outdoor fabric selection. Subtle colourways in plains and stripes are perfect for those looking for an understated neutral story for their outdoor areas. The collection also features old favourites, perfect for creating a more classic outdoor look.